class="post-template-default single single-post postid-313402 single-format-standard group-blog masthead-fixed full-width singular wpb-js-composer js-comp-ver-5.7 vc_responsive"
Pre-tours in Minnesota provided Summit participants with first hand knowledge of U.S. ethanol production. Industry and government officials from 17 countries in Asia and Oceania met this week in Minneapolis with members of the U.S. ethanol industry and U.S. officials at the Ethanol Summit of the Asia Pacific, focused on current and future prospects for expanded ethanol use throughout the region. The event, sponsored by the U.S. Grains Council (USGC), Growth Energy and the Renewable Fuels Association (RFA), highlighted the use of ethanol in transportation fuels to help meet challenges, including improving air quality, upgrading the current fuel supply and reducing greenhouse gas emissions. It was book ended by a pre-tour of ethanol plants in Minnesota and post-tours that took four teams of producers, traders, government officials and business people to Iowa, Kansas, Nebraska and Wisconsin for an on-the-ground experience including stops at gas stations, feedlots, farms and, of course, additional ethanol plants. Pre-tours in Minnesota provided Summit participants with first hand knowledge of U.S. ethanol production. USGC Chairman Deb Keller took a quick break from corn planting on her farm in Iowa to welcome participants from 17 countries to the Summit. Attendees hit the road after the Summit to tour ethanol plants in four states. 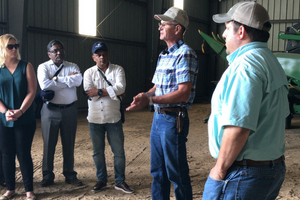 Post-Summit tours also included visits with local corn farmers to provide their perspectives on the importance of ethanol to the local economy. Globally, the Council works to expand the use of ethanol based on these economic and environmental benefits, in partnership with customers as well as U.S. industry partners, Growth Energy and RFA, the U.S. Department of Agriculture (USDA) and state corn organizations. 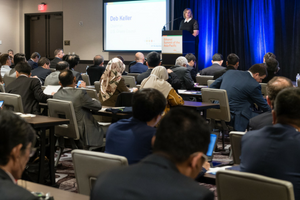 The Summit encouraged senior-level officials and industry leaders to find ways to expand the global use of ethanol while developing policies with a role for trade. The two-day conference included views and analysis on the Asia Pacific Economic Cooperation (APEC) ethanol road map, which consists of best practices for developing an ethanol industry; the U.S. Department of Agriculture’s (USDA’s) perspective on ethanol policy, trade and collaboration; ethanol case studies from Vietnam and the Philippines; ethanol research in Japan; and the development of ethanol policy and use in China. 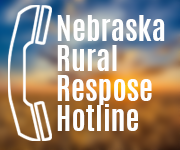 The post-tours followed a familiar and successful model for the Council: providing hands-on experience and access to local experts who work every day with grains, ethanol and their related products. 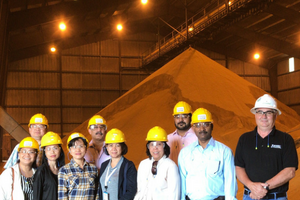 “We appreciate our state partners hosting these important groups of high-level officials from Asia so they have a better understanding of our ethanol story in the U.S.,” said Deb Keller, U.S. Grains Council Chairman and Iowa farmer, in a release about the post-tours. 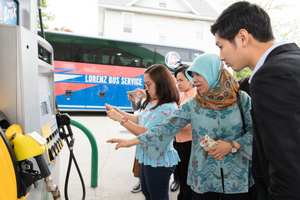 Learn more about the Ethanol Summit of the Asia-Pacific here or read more about post-Summit tours in Iowa, Nebraska, Kansas and Wisconsin. Learn more about the Council’s work on ethanol export promotion here.